Iris and Will have been married for seven years, have bought their dream house and have begun trying for a family. But on the morning Will flies out for a business trip to Florida, Iris’s perfect life comes crashing down around her: another plane headed for Seattle has crashed into a field, killing everyone on board and, according to the airline, Will was one of the passengers. Grief stricken and confused, Iris is convinced it all must be a huge misunderstanding. Why did Will lie about where he was going? And what else has he lied about? As she sets off on a desperate quest to uncover what her husband was keeping from her, she begins to unravel a hidden identity behind the man she thought she knew better than herself, and the truth shocks her to the core. It exceeded my expectations and I loved it. 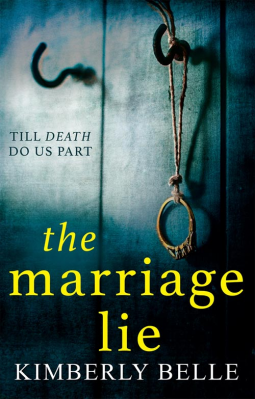 The Marriage Lie is one of those books that gripped me and kept me guessing all the way through. Once I began reading I just didn’t want to put the book down and I raced through it, anxious to know what happened next. And plenty did happen in one of the most convoluted and complex plots I’ve read in a while. The pace is terrific and the tension just builds and builds in this psychological thriller. Iris thought she had the perfect marriage, with the perfect husband. But the more she tries to discover why he was on a plane to Seattle when he’d told her her was going to Orlando, the more lies she uncovers. Grief-stricken and terrified she doesn’t know who she can trust and she is devastated as the truth is finally uncovered. I don’t want to give away any spoilers, so all I can say is that through all the twists and turns of this novel, the characters are convincing and although I’d partly anticipated the outcome I was taken by surprise at the final twist as the book reaches its dramatic climax! My thanks to the publishers for a review copy of The Marriage Lie. It’s due to be published on 29 December 2016. So glad to hear you enjoyed this one so much – it is my next read – I liked the synopsis too so I’m thrilled to have a copy!